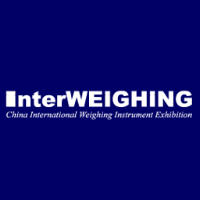 EXCELL announced it will show its innovative Scale-IoT solutions at InterWeighing Week (Stand 1121-1122/1131-1132), Apr. 18-20, Wuhan, China. EXCELL Weighing Data Managment System is developed to help our customers reduce human errors and increase work efficiency. All weighing data can be transmitted to smartphone, tablet, laptop or PC, and stored in the cloud or database, a easy way for data analysis and management. It's always been an issue for cutomers to use weighing scales in cold storage and freezing room, because the huge temperature difference will create the pressure on loadcell and lead to weight error. EXCELL's pressure relief valve can solve this issue. We now have applied this patented built-in pressure relief valve to all our IP68 waterproof scale series to assure the weight accuracy. EXCELL 150S is a single weigher, a multiple ingredient, and weigh controller that may be used in a variety of weighing, flow metering and batch processing applications. In addition, it offers the flexibility of high accuracy automatic ingredient weighing, metering and discharge, along with configurable timer/interlock functions for control of mixing, heating and other process operations from a single weigh controller. Operating from stored recipe data selected through its front panel or from a supervisory PLC or PC system. These next-generation『ECO-Power』product series, which enables users to reach new levels (Level VI) of power efficiency with the exceptional reliability, accuracy and safety, are a direct response to industry and end-user requests for a high level of reliability and robustness products that users have come to expect from EXCELL.